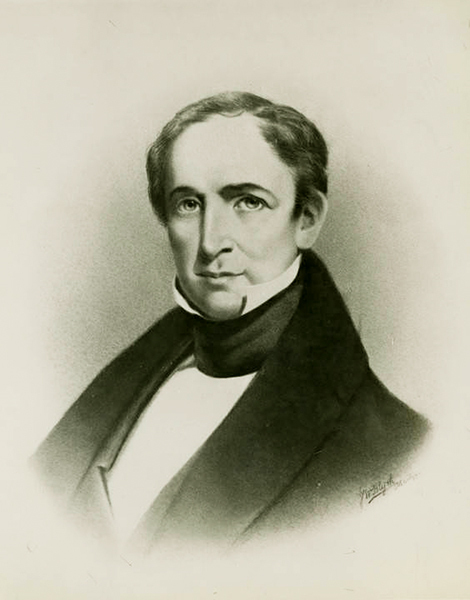 Henry Hitchcock played pivotal roles in Alabama's early statehood. A lawyer before coming to Alabama Territory in 1817, he subsequently held the offices of secretary of the Alabama Territory, attorney general, U.S. district attorney, and associate and chief justice of the Alabama Supreme Court. He was one of the authors of the state's constitution and wrote the first book published in Alabama. The Doy Leale McCall Rare Book and Manuscript Library. Courtesy of Tom McGehee.